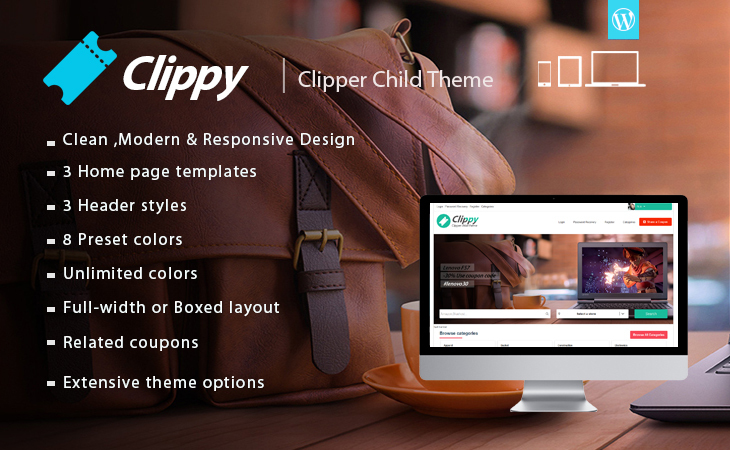 Loaded with tons of options features, Clippy is a fully customizable theme ,3 Home page layouts, 3 header styles, and unlimited colors, font variations and countless of other options to tweak your Coupon listings/affiliate website. 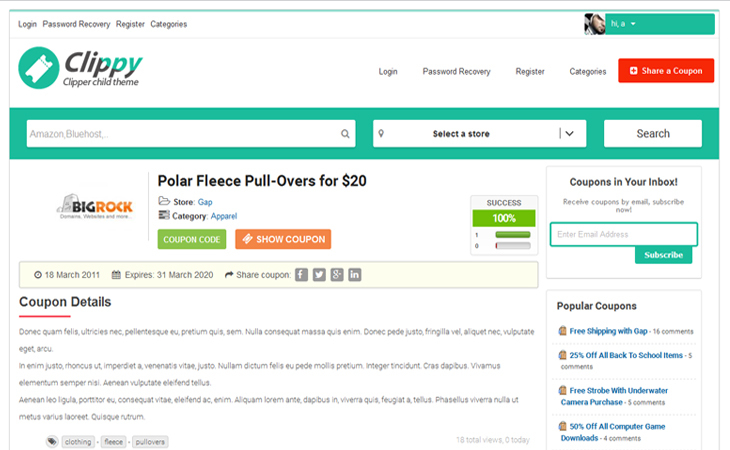 Not only the above impressive layouts and the design, but the features in the backend, In simple words, we would say that Clippy is an ultimate theme for coupon listings to get a killer conversion rate. Creating a coupons/affiliate website has never been easier. 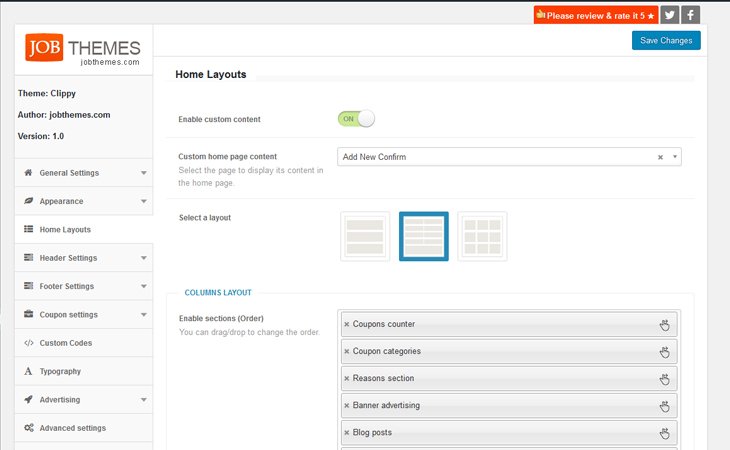 Choose one of the pre-set home page templates : Default, Columns and categories. each template has tens of options such as : Ad counter, Blog posts (Advices and News); Reasons section, Coupons’ categories’ list, and an extra advertising banner. 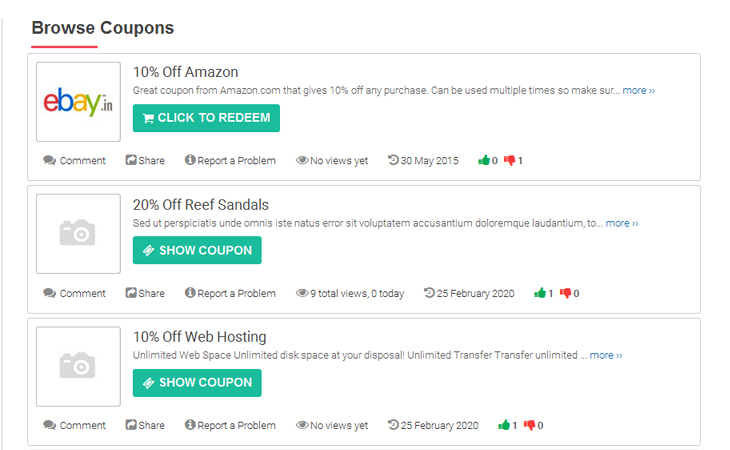 We have created a clean template for the coupon single page,a fully-customizable one! 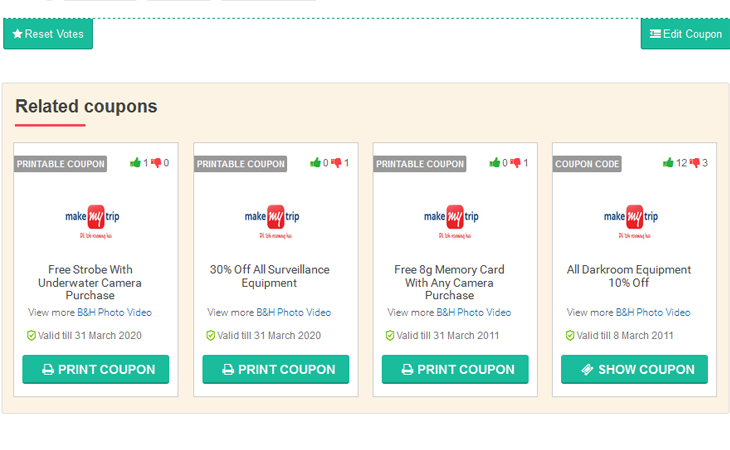 You can display related coupons in the coupon single page.activate/deactivate it, how many coupons to display are optional. Clippy came packed with testimonials module, Show up what your clients say about your coupon listings website. With the built-in color pickers in Clippy theme options you can change the color of nearly every element of your website. Clippy is fully responsive. its compatible on all new & latest browsers tablets and mobile devices. Use unlimited Google fonts or upload custom fonts, set sizes, style, weight and much more.Clippy options panel gives control on fonts. Featured coupons widget, Custom button, Twitter recent tweets. 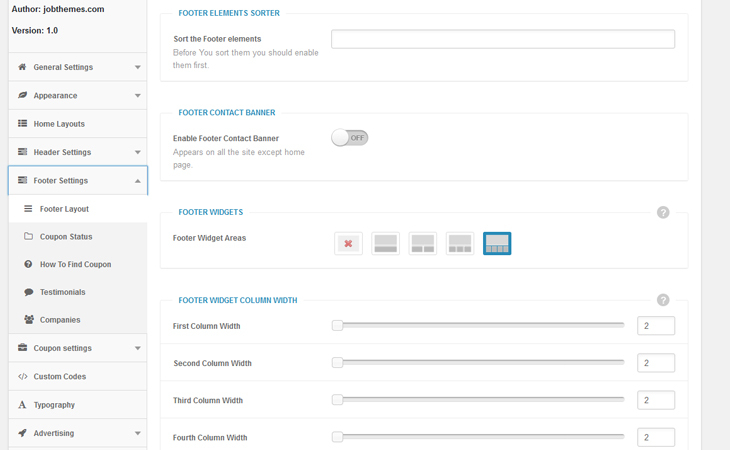 Use single, dual , up to 4 sections or no footer sidebars on any post or page. Control the sidebar widths, positions and much more. Clippy built with following the best SEO practices to help for best ranking in search engine for your website compatibility. Clippy shortcode generator is what you need. The shortcodes allow you to build pages easily and quickly in different ways. Clippy includes a contact form page which you can customize through the themes options’ panel, also, You can show the location using an embed google map. 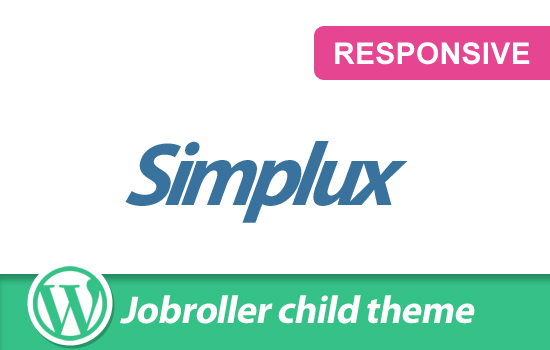 The most advanced responsive slider plugin with powerful options panel is now included in Clippy with a one click install. Clippy was built on Bootstrap , the most popular HTML, CSS, and JS framework for responsive websites. There are more other options , we try to list few here such as : Featured coupons slider option, Set an animated page loader effect, Upload an image if there is no coupon listing image, Featured coupons ribbons (upload your own), Patterns ready, Social media icons,Top fixed menu or not , Full-width page template !……When we said there are tons of options in the backend, We meant it. Your Cippy now is installed and ready for use. This is a great responsive theme ! 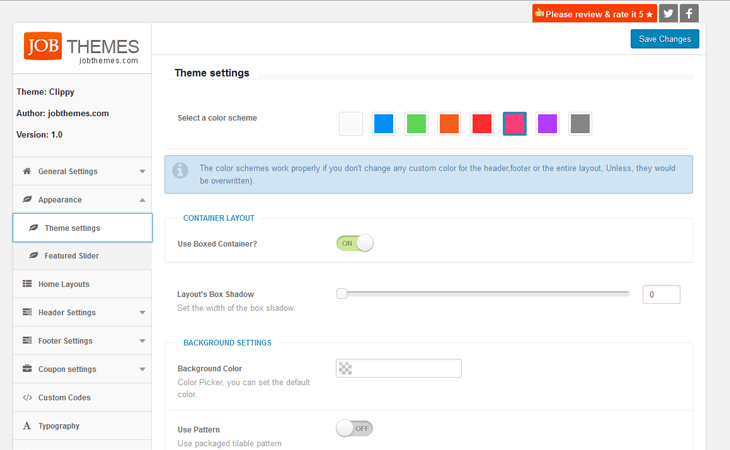 This theme is very easy to configure and will fit very nicely on any kind of screens. And when I needed some support to do some advanced fine tuning, I got the responses I needed almost immediatly ! I have bought a lot of themes, and really these guys are the best, and fast support I always received from you. Not only is this winning theme style on Jobroller (Jobby) and Classipress (Classy) they have now brought the clipper version out (Clippy). What an awesome theme style this is. Nothing like most of the other themes, you can see they are just a modded version of the original. These take the styling and options to a whole new level. Ultra modern looking, Clean and packed full of features that will have you tweaking for weeks, (and then some). The support is top notch and I now have continuity across my websites as they can all be made to look the same. 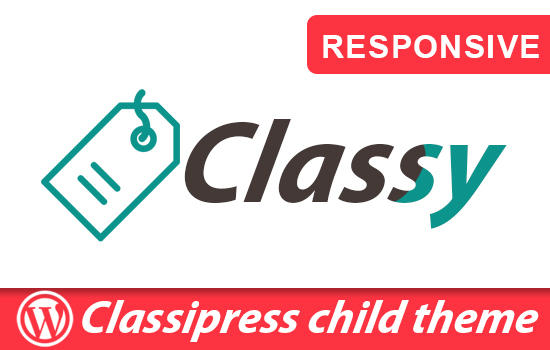 I have both Classipress and Jobroller sites too. There is no choice to make when you go to buy a new theme, just go buy this. Seriously you won’t regret it. This is definitely one of the coolest looking themes for Clipper yet, it’s great to see a new theme, and such great and prompt customer support too! Last but not lest, I just realized that in the homepage layouts, under columns the choice of “popular stores” is there but I would rather have “Featured Stores” an option label that is a standard format of Clipper but it would be better for us, and perhaps others to be able to feature stores that we checkbox and choose, rather than the popular stores which we have no control over! Right? Can you add this to the selection for that setting? There is a drag and drop box where you can select and order items.. I haven’t heard back in a few days and thought you were working on those few items above in the thread, also didn’t hear back on my last comment on changing out the “Popular Store” on the homepage to a “Featured Store” option which we have more control of (See above, last comment). We have been and still working on the issues reported earlier. I am going to add that as an option, not a big deal.the admin will pick the stores he wants to feature and display it there. it is alright with you this way? Okay, please drop me an email with the files you updated and I will simply update just those files so I don’t have to overright some of my custom labels I just made in the last full update? Second, Clipper already has a function built in for “Featured Stores” so all you would have to do is add that function to the selection options for the homepage layout…If you recall, or look at Clipper – it allows each “Store” to have a checkbox that designates it as a “Featured Store” so that is already built in…it just needs to be added to Clippy settings 🙂 Make sense? Wouldn’t that be easier just to use the Clipper built in function, instead of manually re-picking featured stores in Clippy again that already have that designation? I never did hear back on my prior request and issue from October 26? Also, where are we at in general development – is this being updated or is it updated to be fully compatible with Clipper 2.0? I just purchased Clippy and tried to install it, but it still fails. There seems to be a problem with the Clippy plugin. Here’s how the coupon looks in the store page. It looks very bad. Maybe you help me solve the problem. I installed everything right, it’s not the first time I do that. Thank you! Not only Coupons are not displayed correctly. There are also pages, widgets that do not display correctly. I will take a look and get it sorted. I sent the details by email. Can you help me solve the problem? I need the site, but I can not use it. Thank you! Do you look a little to see why the pages are displayed incorrectly, please? Thank you! If I check the coupon using the search bar, it will only appear in the text. According to your demo version, when I search using the search bar, the discount information is shown in the box. But when I search on my site, the box is not shown but only the text is displayed. What version of clipper you are using ? One more question. In your demo version, information such as vote, share, and comments is displayed horizontally in the coupon box. But my site is vertically aligned, but not very good. Post the url of your website so i can see. Do you use the latest version of clipper ? Or which one ? If you search using the Select store, you will see the problem. I Spartac, I have had multiple of your child themes and this one has been the best thus far. 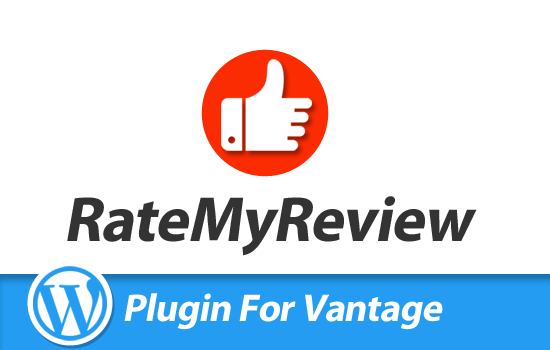 Obviously it has not been updated since 2017, or nearly 1.5 years now so it needs updating for both PHP 7.x and WP 5.x as well as a few needed features. 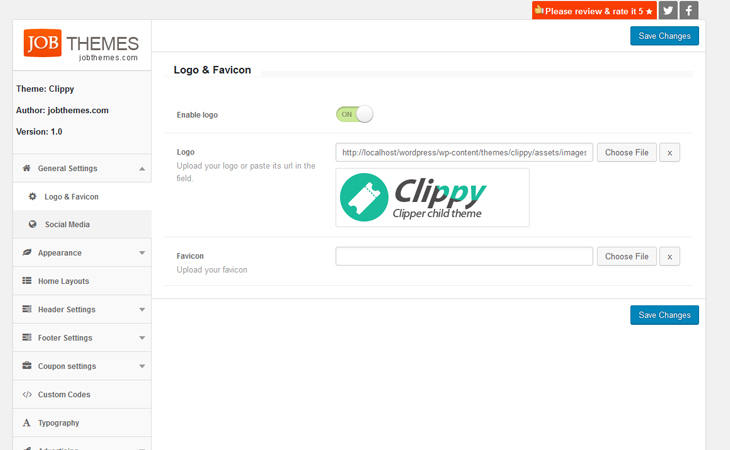 What is the plan on this theme, will you be upgrading it to support Clipper 2.0.x and WP 5.x anytime soon? do you get any errors on your php7 environement? can you give me the errors logs ! so we update it instantly ! 2.) support both Clipper 1.6.x and the newer Clipper 2.x – can it support both? 3.) fix the fact that the social media buttons all open up within the same window, instead of opening in a new tab which is industry standard for SEO. 5.) the ability to change which stores are “Top Stores” on the homepage, I’d love to have it still called top stores but use the “featured store” checkbox that is built into Clipper and have those coupons show up in the same area. I do not like the “Tops Stores” designation, which is currently just the top stores with the most coupons. I want to be able to make those stores based on “featured store” in the store page settings of clipper. b.) ability to translate common field names and labels without going into code, such as “Show Coupon” could be something else. c.) an integrated function like “couponjoy” only better, that would actually COPY the coupon code in the coupon field so the user can just hit paste and not manually hit the copy button. It could also provide the ability to vote UP or DOWN on that coupon. Take a look at how coupons.cnn.com/priceline functions on a coupon! 2- it cant support both 1.6 and cl 2.x, because Clipper 1.6X and 2.X are two different themes in the bone of the codes. 3- I am going to check out the social buttons. 4- this is something can be done as an option, I am going to open a ticket for my team to implement it here and for afifliaty and koupon as well. 5- The top stores is selected by ” the featured stores of clipper”. we can make it a selectable option in the backend. (affiliaty has this ) + adding the option to select the stores based on featured store as well. c- we planed to make that function before but since mohsin made it a handy plugin, we didnt want to enter to his market target, but since more than 2 customers want it, we can make it.one more ticket to be opened for this one. also the ability to opene a window to see coupon details and vote for it if it works. We make sure that our themes work and although we left them for a while due to some “personal” issues, but we are back now with more power and ambition. –Gotcha. I think Clipper is having some major bugs with WP 5.x right now in 2.0.2 so hopefully they resolve them. –Well right now Clippy is working on 1.6.4, so you are saying a.) the current version of Clippy will not work on Clipper 2.x and b.) the updates you are working on (now that we are talking in this thread) are going to be making Clippy compatible with Clipper 2.x correct? –Thanks, I imagine this is an easy fix? –The ability to select the number of “latest coupons” on the homepage is already in Affiliaty actually. So you can put whatever number you want, currently in Clippy it’s fixed to 12, but Affiliaty has a box you can change that. — Yes, give us a selection (pulled from clipper) to choose the stores listed on TOP STORES based EITHER the stores with the most coupons (Clipper default by the way) OR the “Featured Store” checkbox which is also built into Clipper by default in the store creation area. — I mean being able to change the labels for things, for example “Show Coupon” “Print Coupon” Browse More” “Top Stores” “View More” and the major ones, so we don’t have to edit them inside of main code. a.) to use the clipboard to automatically copy the coupon in the coupon field into the users clipboard so they can simply paste. Right now they have to manually copy or click a button, which is an extra step. b.) coupons.cnn.com/priceline is a great example of how it should function. c.) the voting up or down below the coupon field is a bonus feature, coupons already have that on each one and this is a function of copying the coupon so it makes sense. d.) The handoff is critical, it needs to open up the affiliate link in the tab that it was launched from AND then open a new tab with the lightbox with the code in it and NOT the other way around! Mohsin does it in the right order, but the example site coupons.cnn.com/priceline does NOT. That is the only bad thing about the example one. So do you want to develop this with my help on questions, new features? Perhaps you would like to email back and forth on this instead? Either let me know here or PM me your email. Thanks for all your help! One More New Feature: Could you bring over the “verified” option for coupons, it is already included in Affiliaty so simply add it to Clippy too.